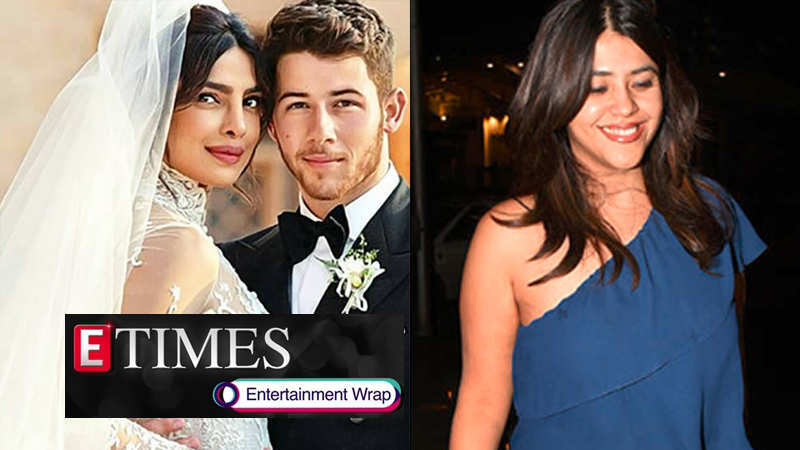 Bollywood actress Priynaka Chopra, who got married to the American singer Nick Jonas' at Umaid Bhawan Palace in Jodhpur, has officially changed her name to Priyanka Chopra Jonas' on Instagram. Filmmaker Ekta Kapoor filed a complaint with the Juhu police after she realised that Rs 60,000 of Rs 1.5 lakh cash that she had kept in her handbag had gone missing. The police have registered a case but no arrests have been made so far. The CCTV footages are also being scanned to find out if any outsider entered her bungalow to commit the offence.